I am Jack Byno and I have been a traffic ticket defense attorney in Westworth Village and all of Tarrant County since 1994 . The lawyers of Jack Byno & Associates represent clients with CDL violations, lift traffic warrants, speeding tickets, and defend driver's license suspension hearings . For more information about getting help with a Westworth Village, Texas traffic ticket contact me . When you retain the services of the attorneys of Jack Byno & Associates to represent you with your Westworth Village Municipal Court speeding tickets, we will inform you of your options. Our lawyers look for the best deal we can make on your behalf. However, if you choose to fight your speeding ticket in court, we can be retained for a trial. For more information about defending your Tarrant County speeding tickets contact me . Did a Westworth Village police officer write you a traffic ticket? Did you fail to appear in court? Everyday people do not take care of their traffic tickets. Are you now prepared to lift your traffic warrant ? The lawyers of Jack Byno & Associates can post bonds and lift warrants for speeding and other traffic tickets. After the warrants are lifted the court will assign a court date, called an "attorney plea docket." This is a court date for your attorney to appear and plea your case to the best deal available. Contact a lawyer to lift your Tarrant County traffic warrants. I am Jack Byno and I only represent clients with traffic tickets and driver's license suspension hearings in Tarrant County and the surrounding counties. 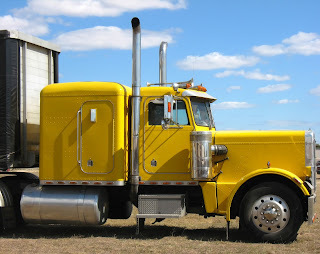 A large percentage of my clients have a commercial driver's license (or CDL). I have been representing CDL holders since 1994 and I understand what truck drivers and other CDL drivers need. When you get a traffic ticket in Westworth Village contact the attorneys with CDL experience. I have been representing clients with traffic tickets in Tarrant County, Texas since 1994. If you have a speeding ticket or need a traffic warrant lifted contact me . The experienced lawyers of Jack Byno & Associates can assist you with your CDL violations and driver's license suspension hearings in Westworth Village, Texas. Please take note, at the time of this posting the statewide warrant roundup is in full force. Do not delay in getting your traffic warrants lifted.